It’s easy to host a Rosé wine party at home with these simple tips. 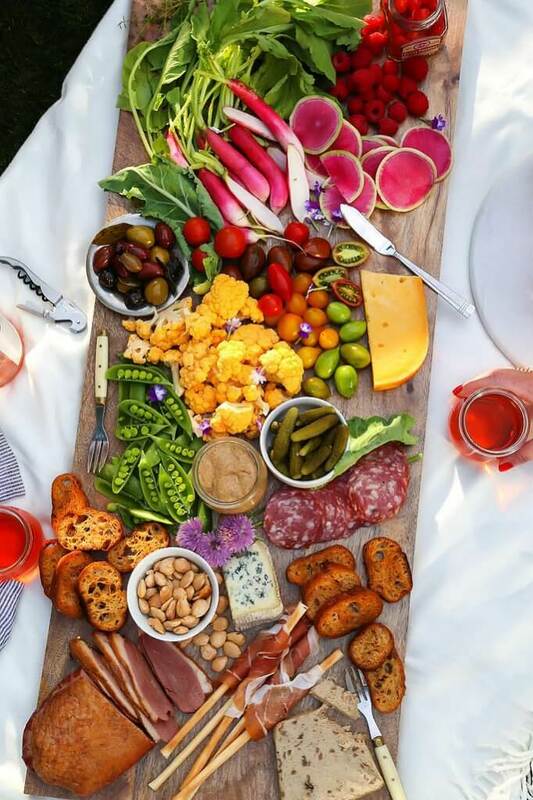 Learn how to create a gorgeous charcuterie board with homemade rosé wine mustard that also doubles as a parting gift for your guests! It’s the best time of the year – The sun is shining, the temperatures have warmed up and the new vintage of Rosé has arrived! 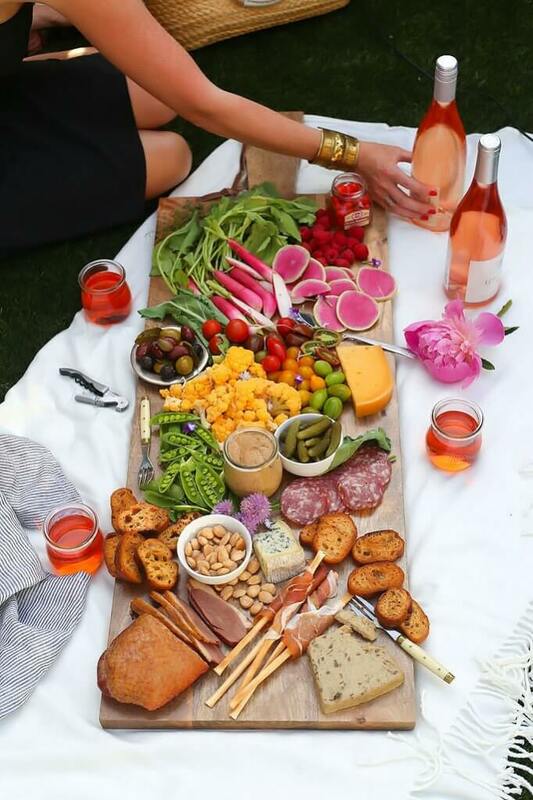 Three perfect reasons that you need to host a Rosé wine tasting party this summer! I’m mildly obsessed with Rosé. Just kidding – I’m majorly enamored! And, I don’t think I’m alone… You may have noticed that Rosé wines are staking a huge claim in the grocery store wine aisle lately. You can find it with bubbles, you can find it in gorgeous, uniquely shaped bottles, you can even find it in a can. The pink stuff just wins me over ever time. Why? Rosé wine is amazingly affordable – Most bottles are in the $10 range. Rosé wine are sophisticated, but relaxed at the same time – A perfect upgrade for your backyard BBQ. Rosés are super food friendly – With a bit of acidity, complex notes and a bit of body, they stand up to a wide variety of foods. 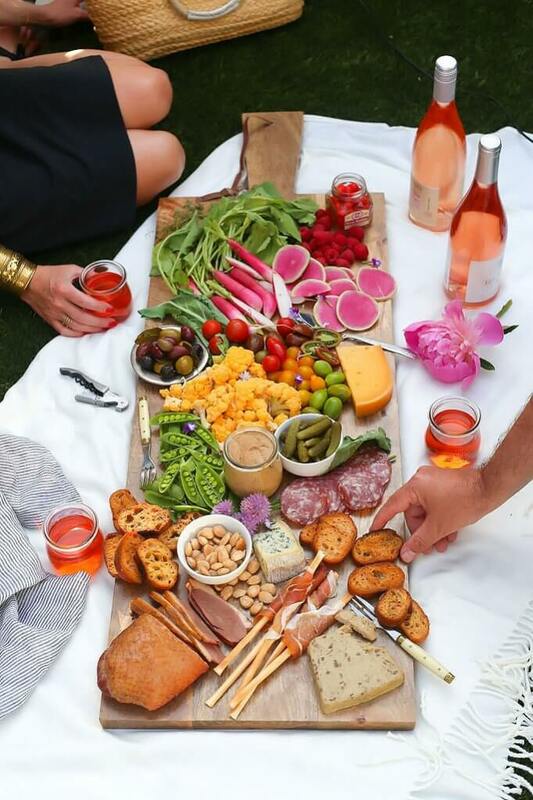 All of the above reasons make Rosé the perfect bottle to focus a wine party around. It’s all about fun! Let’s have a party that’s not stuffy, totally elegant, and gives everyone a chance to discover a new bottle that may not be on their radar yet. I started by asking all my guests to bring a bottle of their favorite Rosé. For those feeling a bit timid to do the choosing, I passed along this list of my favorite Rosé wines under $10. As for or my part in the Rosé wine party, I assembled a huge spread of a charcuterie board. Like I mentioned before, Rosé is one of the most food-friendly wines out there, so you don’t need to be too worried about what you’re serving it up with. For this charcuterie board, I scavenged the farmer’s market for the all of the most colorful produce that I could find that week – Cheddar cauliflower, watermelon radishes, heirloom baby tomatoes, raspberries and snap peas, added in a couple cheeses – one hard: cheddar and one soft: blue cheese, and then scattered about some yummy charcuterie from Les Trois Petits Cochons – Smoked duck breast, salami and prosciutto which I wrapped around some breadsticks. A sprinkling of edible flowers from our garden finished the whole thing off and gave a little extra special touch. But, the final piece of the charcuterie that I used to really tie everything together with my Rosé wine party theme was the Rosé wine mustard that I created. Have you ever made mustard from scratch? I hadn’t either, but I tried my hand at it and learned that it’s super simple – It just takes some time. So, plan to start your mustard a good week before your party. You start by soaking some mustard seeds (I used a blend of brown and yellow mustard seeds) in a bit of your rosé wine and red wine vinegar. Let it all steep together for a couple days and then whip it all up with a bit of sugar, salt and pepper using your blender or food processor, breaking down those mustard seeds and helping it develop a nice, creamy texture. Then, let it all mingle together for another week in the refrigerator to really let those flavors develop. Voila! Rosé wine mustard to go with your Rosé wine party. I decided to make a big batch of the rosé wine mustard so that I could send each of my guests home with a jar of it to enjoy. Because it was a beautiful day outside, we were able to snack and sip on our Rosé in the sunshine. I thought about doing a blind tasting, sampling each of the wines and deciding on our favorites, but in the end, we just ended up having so much fun catching up and talking that we skipped the more formalized tasting. However, if you’re hoping to do that with your guests, be sure to check out Bev’s post over at Bev Cooks on how to host a rosé wine tasting party. She talks about how she and her girlfriends got together and ranked their wines in a fun blindfolded tasting. 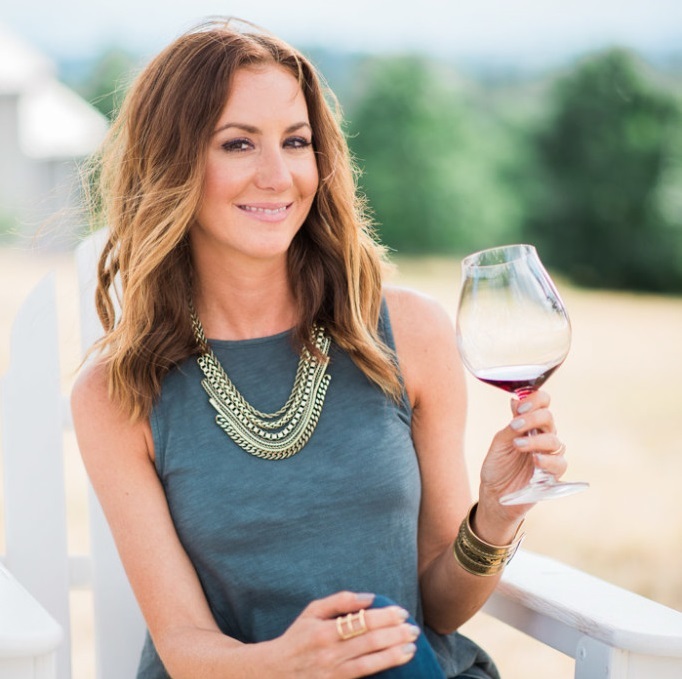 Have you hosted a wine tasting party before? I’d love to hear all the details in the comments below! What worked for you? Would you do it differently next time? Were there any surprise bottles that you discovered you loved? It's easy to host a Rosé wine party at home with these simple tips. 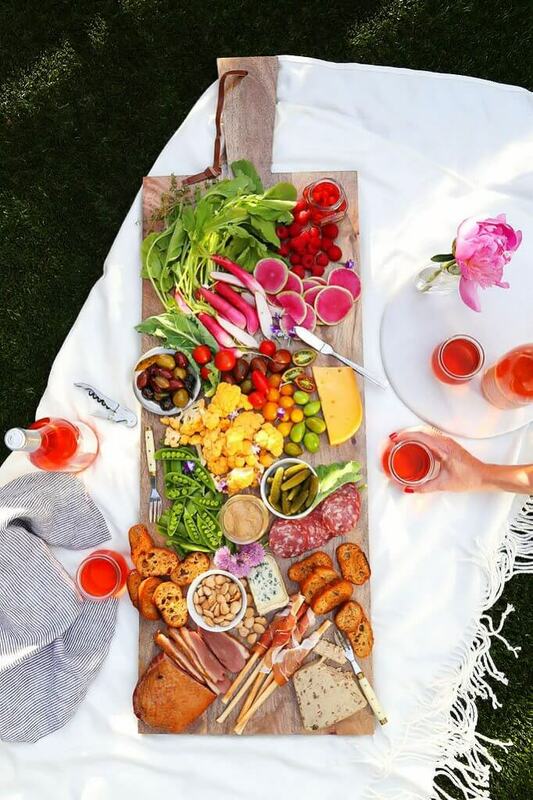 Learn how to create a gorgeous charcuterie board with a homemade rosé wine mustard that also doubles as a parting gift for your guests! In a nonreactive container, combine mustard seeds with rosé wine and wine vinegar. Let sit 48 hours. Transfer seeds and liquid to a food processor or blender. Add sugar, salt and pepper. Process until the mustard becomes creamy, about 4-6 minutes. 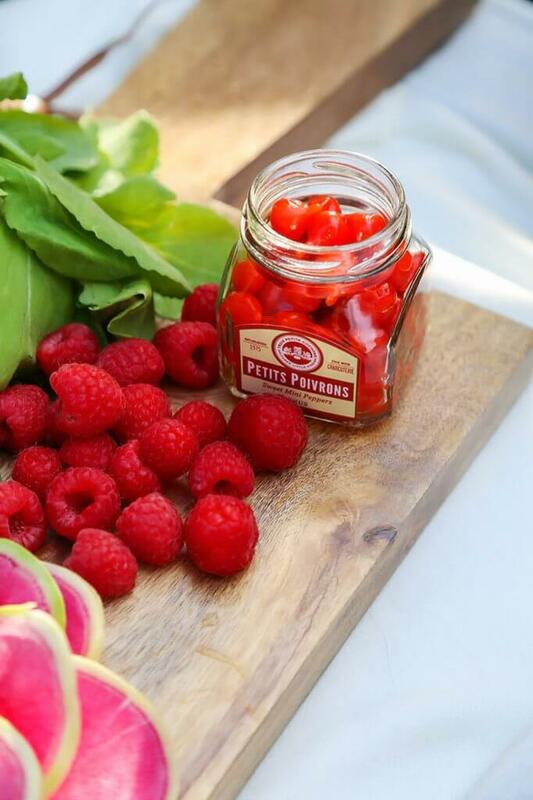 Store in an airtight container in the refrigerator for at least 1 week before using to let the flavors develop. The mustard will keep for up to 1 month. 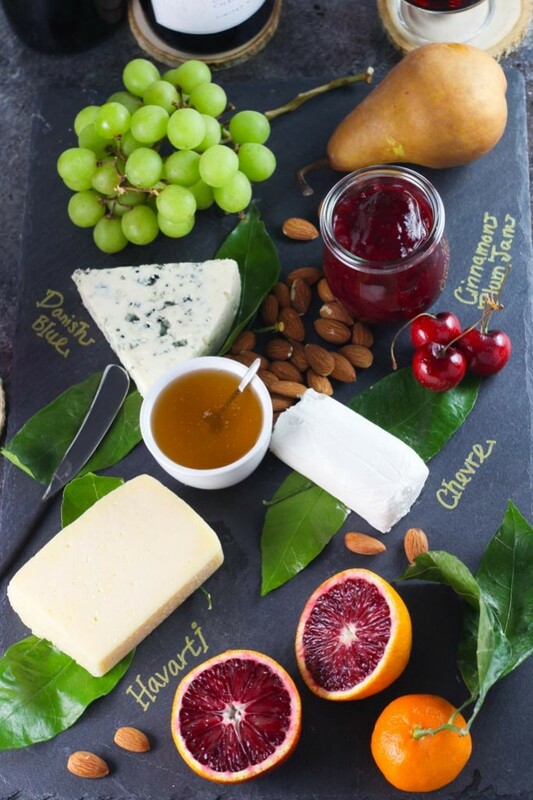 Looking for more cheese board inspiration? Be sure to check out these posts too! I teamed up with Les Trois Petits Cochons to bring you this post. As always, all opinions are my own. GORGEOUS. I’m just sad I was not there to enjoy too! I will totally be sharing this post. Beautiful rosé wine party! We love rosé for all of the same reasons – affordable, food-friendly, and there are so many amazing ones on the market these days! Cheers! I’m going to a rose party on Saturday– passing this along to the hostess. Thanks Meredith – Have fun! 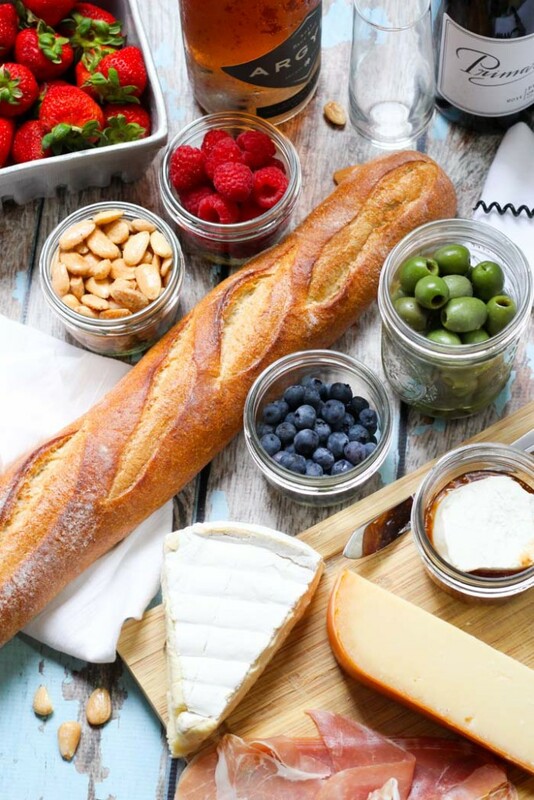 This looks like an incredible party with the wine and board, I love that thoughtful touch of prosciutto wrapped around some breadsticks because they always stick together and you pre separated them with the breadsticks and it looks darling! Thanks Pech – You’re right about the prosciutto always sticking together. I always just take that as an excuse to eat more of it though! That board is insane! Makes me want to grab a bottle of rose and hit the park for a picnic ASAP (well if the weather would cooperate…). Bravo! Totally agree Erin – What happened to our sunshine?! 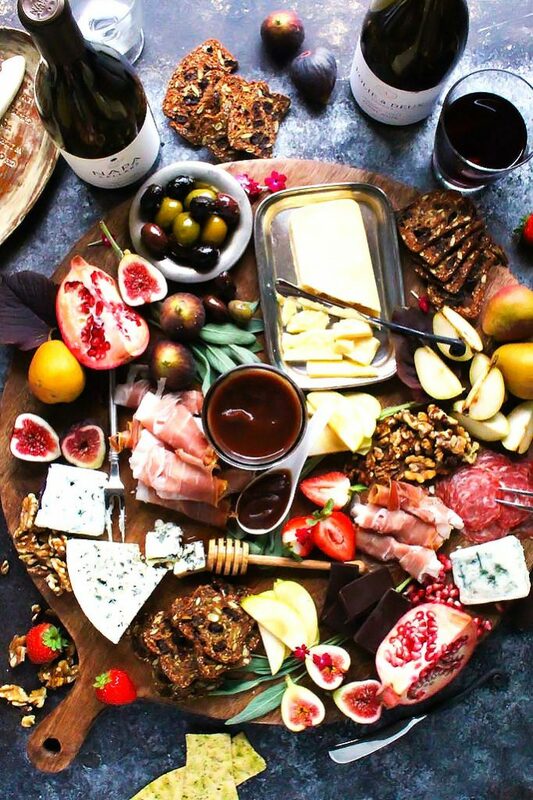 Thanks so much Julia – I think that charcuterie platters are so fun to create! 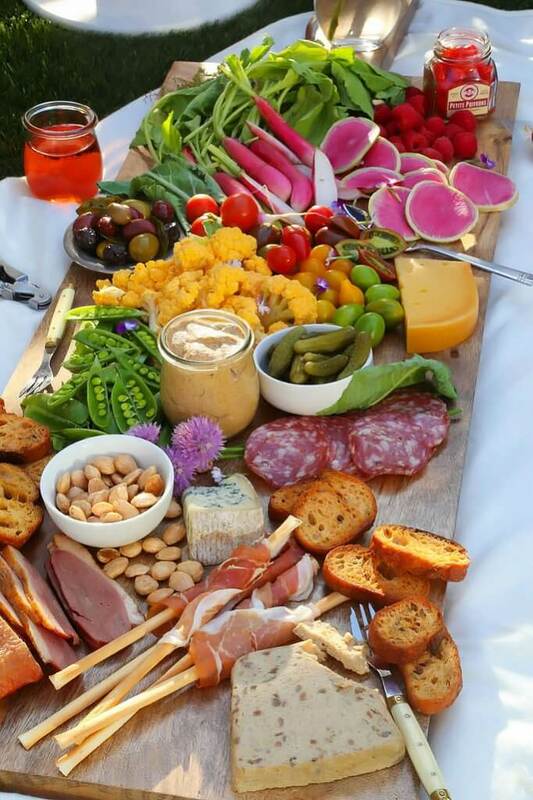 Erin, you always put together the most beautiful, vibrant, delicious boards! I want to host a gathering just so I can copy this one! I’ve never made mustard but I bet it is so good!! !